Lockheed Martin Awards BAE Systems Million Dollar Contract. 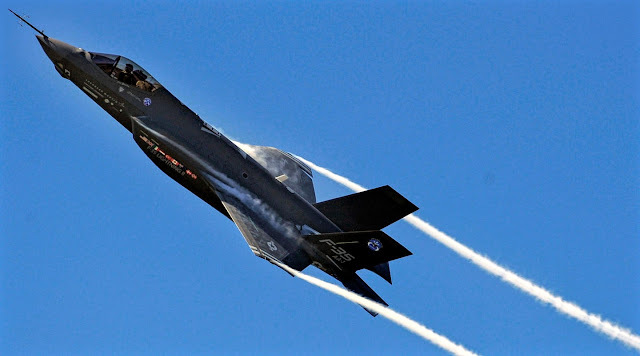 BAE Systems received a contract of more than USD 100 million from Lockheed Martin to support the maintenance and replacement of electronic warfare systems in the F-35 Lightning II fighter jet. The company will manage the supply chain for the electronic warfare system and maintain regional warehouses with inventories of critical components available. BAE Systems manufactures the electronic warfare package for the Lockheed Martin F-35, called AN / ASQ-239 Barracuda. The avionics and sensors of the system provide a 360-degree view of the aircraft's surroundings, detecting and geolocating electronic issuers to give pilots the option to evade, confront, counteract or block threats. The F-35 sustainability contract will be based on performance-based logistics, which will include the repair and update of ASQ-239, BAE Systems said. The company will support all the variants and customers of F-35 worldwide according to the contract.